My partner and I grow flowers, vegetables, and fruit on around 1.5 acres of our 12 acre farm, located in the rolling hills of Appalachia. We use sustainable practices, which depend upon healthy soil, clean air and water, and a biodiverse ecosystem. But, a proposed 554 acre coal mine in the Perry State Forest could threaten our small, rural community and the future we’ve built for ourselves. We moved to Perry County in 2011 as first time homebuyers and beginning farmers. We fell in love with our farm — which shares a border with the Perry State Forest — because it’s surrounded by trees, allowing us to live and work in a remote and beautiful setting that nourishes our souls while we seek to nourish the community. 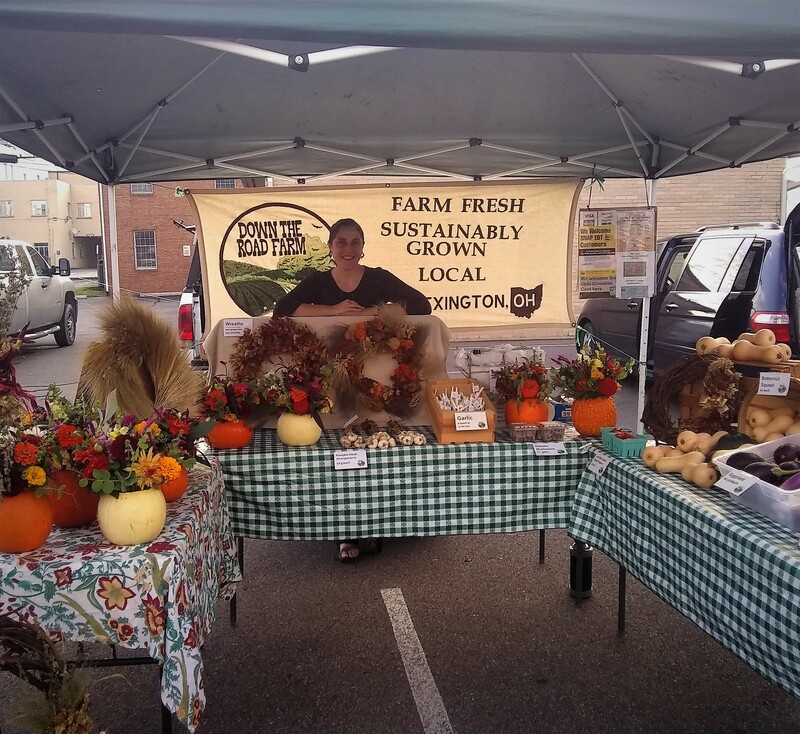 We’ve spent six seasons and considerable time, sweat, and money growing the farm, which now serves farmers’ markets in Licking, Fairfield, and Perry counties, in addition to special events, restaurants, and a local retail store. 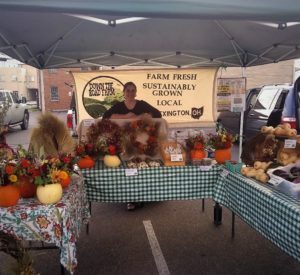 We’ve partnered with the Perry County Health Department, and enrolled in programs like the Supplement Nutrition Assistance Program (SNAP); Women, Infants, and Children (WIC) Farmers’ Market Nutrition Program, and Senior Farmers’ Market Nutrition Program to help provide affordable, fresh, local foods to everyone in our community. Oxford Mining Company, the local subsidiary of the Westmoreland Coal Company, which filed for bankruptcy on October 9, has submitted permit applications for the Perry State Forest project, which are now being considered by the Ohio Department of Natural Resources (ODNR) and the Ohio Environmental Protection Agency (OEPA). Despite being on shaky financial ground, and even as it hopes to auction its current Ohio permits, Oxford may still be permitted to seek new permits, including on our public lands. In addition to being financially reckless, the project would have devastating impacts on the local community. Residents could have mining up to their property lines and within 300 feet of their homes. We could experience reduced property values, loss of resale value, increased traffic on local roadways, and considerable noise from blasting and equipment. Home foundations and water wells could also be damaged from the blasts. There would also be negative impacts to the environment. Wildlife would be displaced, and there could be air and water pollution. Beyond the hundreds of local residents who will be socially and economically impacted, the forest offers immeasurable benefits to the people who now run, hunt, hike, and ride here, along with the businesses that rely on this recreation and tourism. Oxford’s application does little to protect the forest or the public from the worst impacts of this project, and does not ensure that it meets its legal obligation to prevent degradation of surface waters. It fails to establish baseline water quality data or explain how discharged wastewater will be adequately treated. OEPA’s draft non-numeric water quality permit would not require Oxford to even sample or monitor for many common mining contaminants, which will likely enter into local waterways if they go unchecked. Friends of Perry State Forest, a group of community members, identified a series of fishing ponds within the mine area with neutral pH and aquatic life, not even identified by Oxford in its application, much less tested, which OEPA admitted during an October 2 hearing that they were not aware of. The public is not only being asked to accept the social and economic fallout of this project and blindly trust Oxford to improve our water quality, we’re also expected to have faith that a bankrupt company and an under-funded state bond pool will be here and be able to properly remediate and return our forest when mining is complete. The forest is an asset to our farm and our community, which shouldn’t carelessly be opened to Oxford. It is unfair for the state to gamble with the future of our community and our public land. OEPA and ODNR should reject Oxford’s permits and ensure that Perry County doesn’t end up with an abandoned coal mine where there is now a 60-year old forest.